Thick professional quality painting tools. The extra long bristles carry a greater paint load to the job surface and helps to flow on a smoother, more even coat of paint. 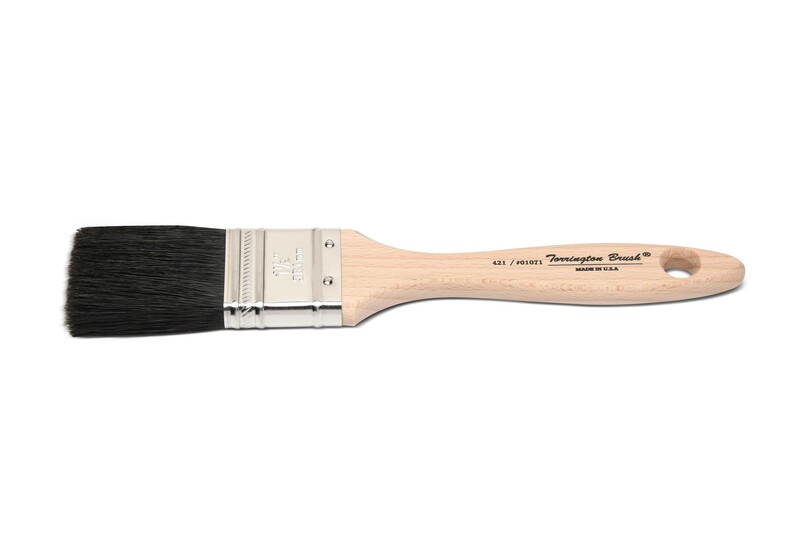 Expertly blended pure china bristles are shaped to a fine chisel edge for sharper cutting-in, improved paint flow and accurate, streak free painting. Made with better quality 100% black Shanghi bristle, chisel trimmed. Plated ferrule. Excellent tool for general maintenance painting. Can also be used as an oil and chip brush. 01071 1 1/2" 7/16" 2"
01073 2 1/2" 1/2" 2 1/4"
01074 3 1/2" 2 1/4"